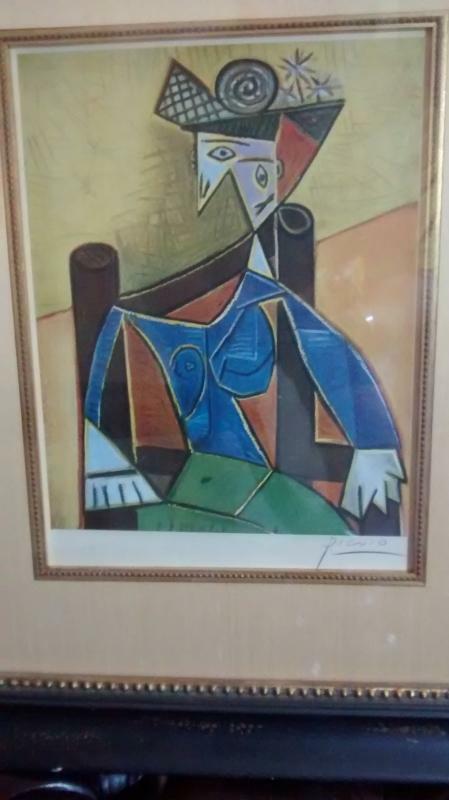 Another of Picasso's view of his last wife, Jacqueline, that was also included in his Folio Seize Penditures published by the Maeght Galleries. One or both in the same room?? Buyer pays any duties and/or fees. Of course this one is also signed. If it isn't hand signed, it is just another print.